Beginning with the introduction of Office 2010, Microsoft is introducing a new delivery mechanism for Office, called Click-to-Run. This technology enables a user to only download parts of the software that the need, rather then install everything at once. 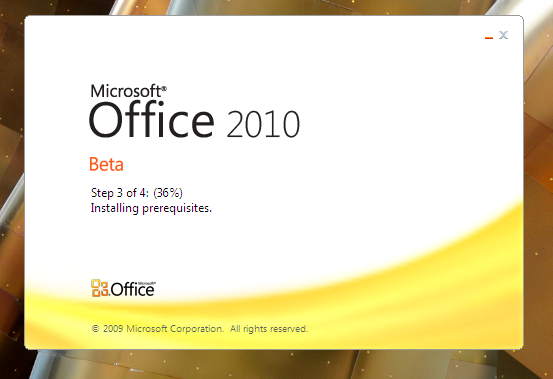 As a part of the release of the Office 2010 Beta, you can download and try out Office 2010 Home and Business edition using the Click-to-Run technology. 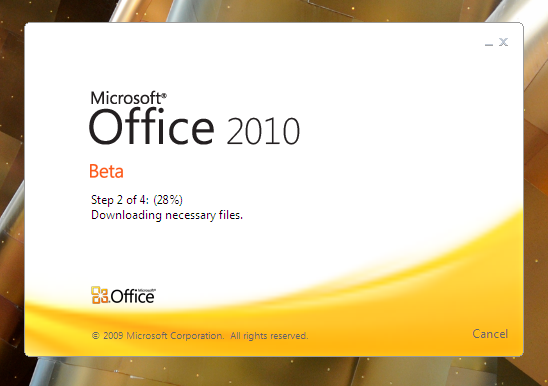 Click here to download Office 2010 Home and Business Edition. The way that Click-to-Run works is that a user downloads a small file (2MB in size). This file contains information about the product to be installed, and creates shortcuts, sets file associations, etc. When an application in the suite is launched, it downloads certain parts of the software to allow them to be functional, and then downloads new features the first time they are launched. Below are some screenshots of the Click-to-Run experience. Previous Previous post: Want to try Google Chrome OS?